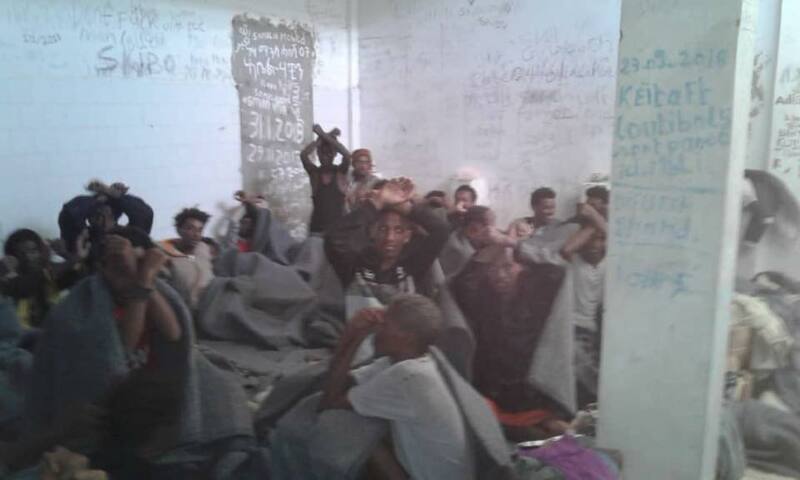 300 Eritreans have been caught at sea by the Libya coast guard and brought to the centre, already overcrowded. They are not registered with UNHCR and every day the Libyan authorities are trying to force them out of the centre to sell them to a group of traffickers and slave masters waiting outside. They face months, years of horrific torture for extortion and slavery if sold again. Every day the Eritrean refugees are trying to unite and resist being taken out, but they are being beaten. The Libyans tell them UNHCR will not come and they should obey. They are at serious risk. Please UNHCR LIBYA UNHCR, the UN Refugee Agency UNHCR Italia – Agenzia ONU per i Rifugiati go to register them immediately so they can no longer be sold on to further torture and slavery!